With such a high demand for the best developers in the game, it’s become commonplace for tech companies to try to attract tech talent by attempting to outbid the competition any way they can. What most of them don’t realize is that a good location can be an absolute game-changer when it comes to recruiting. This is why Haufe-umantis, a German-Swiss HR solutions company and European market leader in web-based talent and performance management systems came up with a plan to open a development center in Barcelona. But what made them choose Barcelona of all the European tech hubs, and how did they experience getting settled in a city that is so culturally different from the environment that they’ve been doing business in? To find out, we asked George Hadjiyiannis, former Chief Technology Officer at Haufe-umantis. 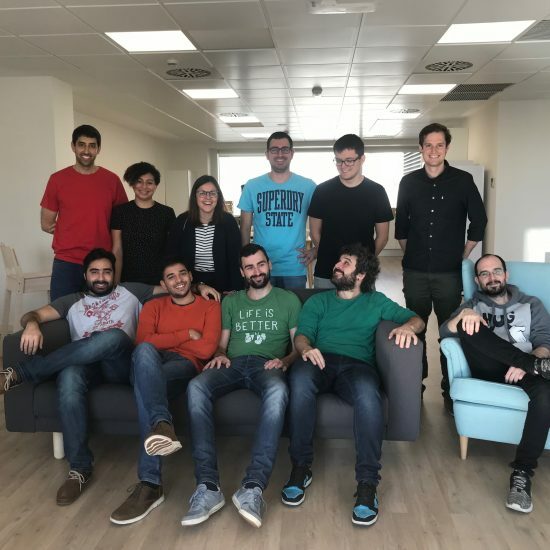 Don’t forget to read the first part of our interview with Haufe-umantis about recruiting software developers in Barcelona! When talking about the Barcelona tech and startup scene, we tend to let our biases get the better of us, and shift the focus to companies that were born and raised here. However, the ecosystem in Barcelona has several pillars, and Spanish startups are but one. 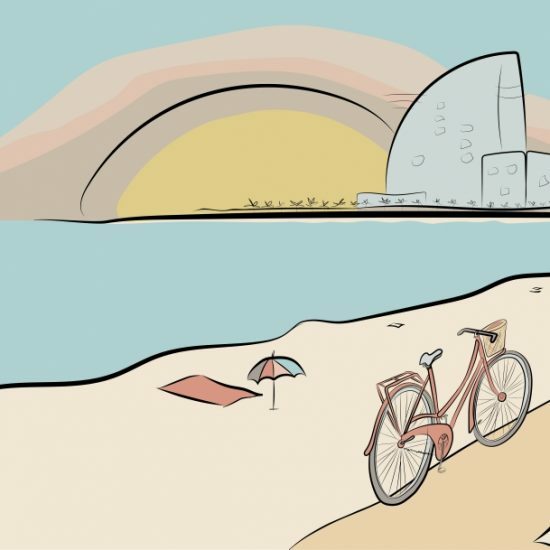 As an international hub, Barcelona prides itself on a community comprised of both local and foreign entrepreneurs, investors and tech talent, and it has become such an attractive location that tech companies from all over the world are choosing the city as an ideal site for opening new offices or development centers. This tendency translates into amazing opportunities for both these companies and for anyone they hire, and it also stimulates the local ecosystem. 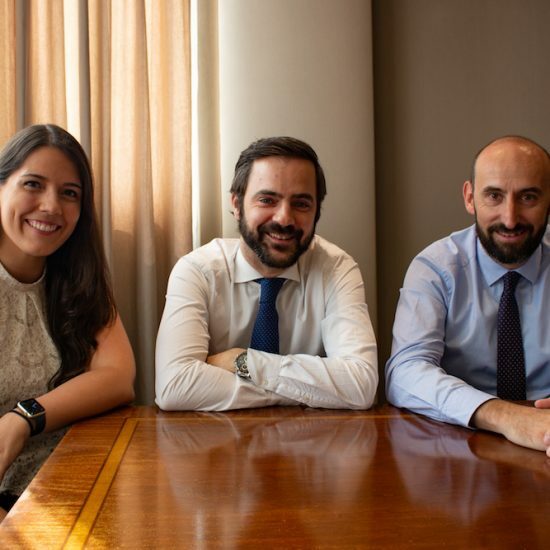 Like in the case of Haufe-umantis, the result can be something completely unprecedented: a unique fusion of the foreign company’s culture, and the skills and approach of the talent available in Barcelona. 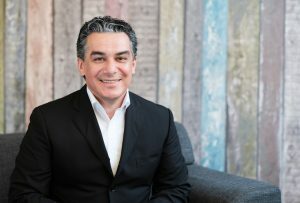 The reason why George and his team started looking for new locations in the first place is because the cities of Freiburg, Germany and St. Gallen, Switzerland, which are the headquarters or the companies Haufe and Umantis respectively, did not prove to be ideal locations for attracting the kind of tech talent that they were looking for. “The main issue with Freiburg and St. Gallen was the saturated talent pool. They are both small cities, with a population of around seventy thousand and ninety thousand, and they are not the most attractive in terms of international relocation. 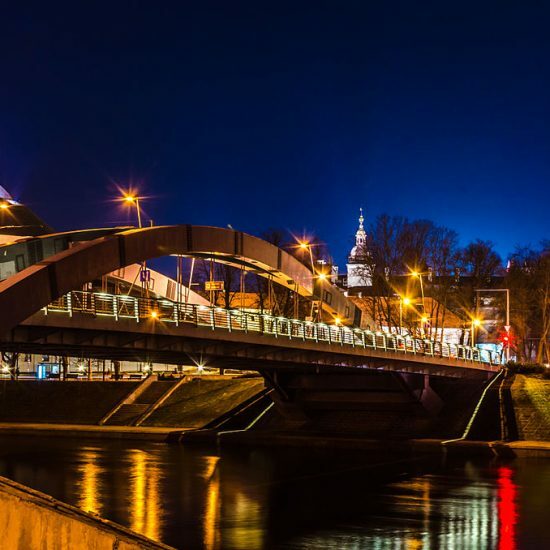 Even though salaries may be appealing to Eastern Europeans, the cost of living is relatively high. There is an excellent management school in St. Gallen, but we need technical people, and for that, there are better places within Switzerland, like Zurich. There is a university in Freiburg, too, but all the talent that comes out of there gets sucked up immediately,” George says. So what was the thought process behind choosing a suitable location? 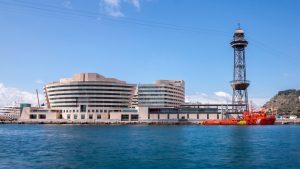 You can find the offices of Haufe-umantis in the World Trade Center, at the port of Barcelona. Photo Credit: peresanz / Shutterstock, Inc.
Four very different cities, different cultures and characteristics. And Barcelona won. “Here’s the deal. Berlin has a sizable talent pool, it’s fairly adventurous, people have the entrepreneurial spirit, plus, our parent company is also headquartered in Germany. But, at the same time, it is a very, very competitive environment, and people have the tendency to hop from job to job. This made it less attractive for us. Dublin generally works well for these kinds of ventures. Language would not be an issue, and there is a significant talent pool. But, realistically, both Berlin and Dublin are expensive, and there is too much competition for you to be able to ignore that. The main reason that we considered Timisoara was that we already have a presence there, but the problem is that it’s not much bigger than St. Gallen or Freiburg. So the talent pool isn’t very deep, and it’s very hard to get people to move there. Why we ended up choosing Barcelona is because Barcelona has a massive talent pool compared to the other cities, and it is a very attractive location, where you can draw from the talent pool of other cities too. When we put everything together, the choice seemed quite obvious. So we presented it to the board, and they approved it” George explains. Anyone who has ever tried to set up a business in Barcelona, be that a subsidiary or a brand new startup, can tell you that laws and bureaucracy don’t always work in favor of the entrepreneur. But, according to George, getting settled in Barcelona was not at all an impossible challenge – even if it entailed some delay and a few lessons about the way that business is done here in Spain. “One thing that remained a challenge was getting used to the relative time scales. For example, you have to accept that in Spain, between the middle of December and the middle of January, nothing is going to get done. For the longest time, our best internet connection was actually Gabriela’s cellphone acting as a hotspot! Since then, this has turned into an inside joke. We were surprised to find out that in Spain, even a German bank (that we chose because it’s where our parent accounts are) works at Spanish speed instead of German speed. It took around three to four months to get online access to our accounts. That’s something that we had to get used to, but at the same time, we found it fairly easy to get things done. You did have to chase things, you did have to talk to the right people, but everyone was always very receptive, and worked with us in good faith. It was very easy to just call someone up and ask them for help. And they would do whatever they could to help us,” George recounts. The new site is continuously growing: two development teams have already been set up, and the third and fourth teams are in the process of being put together. The Barcelona teams are working closely together with the teams in St. Gallen, and, according to George, after the initial challenges have been faced, managing the two sites at a distance is going fairly smoothly. “The traditional way of doing business in Spain is that people do what they’re told, whilst we rely on our teams not doing what they’re told. Our mentality is different. We say things like: you go off on your own and build whatever you think you should be building! The first problem that comes up is that people often have no idea what they should be building. Or they think they don’t. So we say: go and find out! And at the beginning, in Barcelona, not everyone was comfortable with voicing their opinions. Since then, they have become much more confident about pushing back, and we’re very proud of our progress,” George says. As for managing the teams working from entirely different locations, George sees a very promising future of organic collaboration. “There is plenty of cross-pollination between the two sites, and the teams are more and more evolving into one entity, even though they are geographically separated. 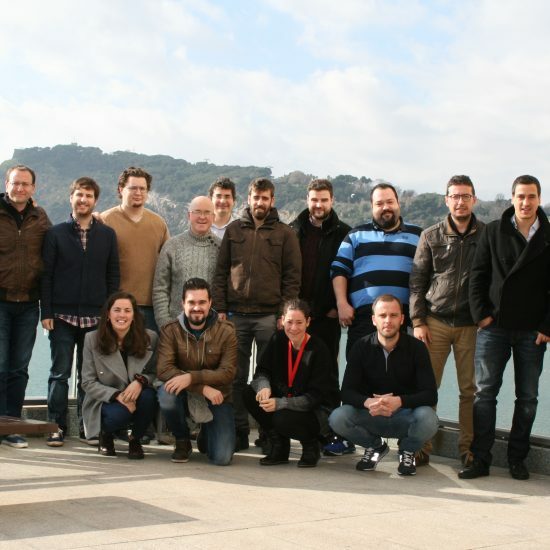 St. Gallen has the history, the legacy of our company, as well as a great deal of knowledge about the details of our product, and Barcelona has a group of adventurous developers working on completely new features with new technologies. They are both learning from one another,” George sums up. Haufe-umantis is all about encouraging experimentation with new technologies and coming up with unorthodox solutions, so the ability to push back, have your voice heard, be confident in what you’re doing and take responsibility for your work is vital to them. “We don’t want people that are good at building big corporate monoliths. We want people who are adventurous, who have a spirit of their own, and who are interested in building something new and different. And we believe that Barcelona is the place where you can find these people,” George concludes. Featured Image: majcot / Shutterstock, Inc.